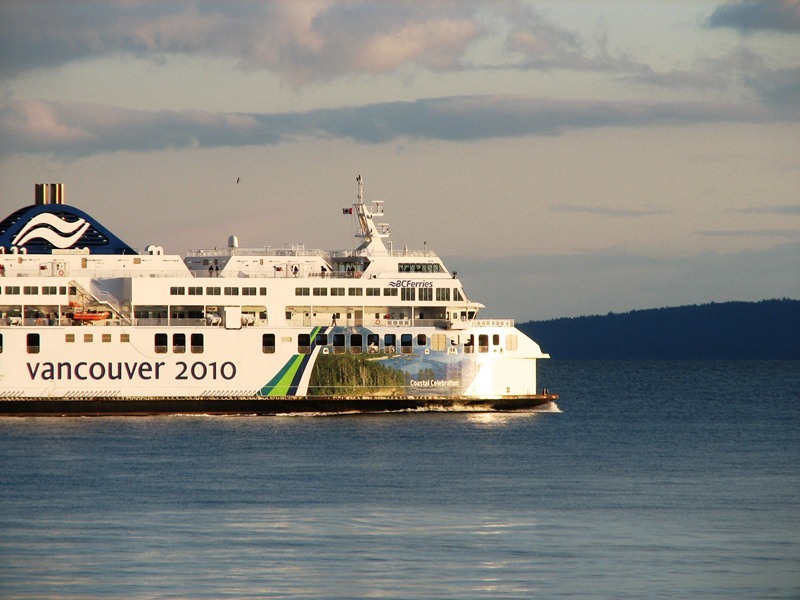 British Columbia Ferries | British Columbia ROCKS! B.C. 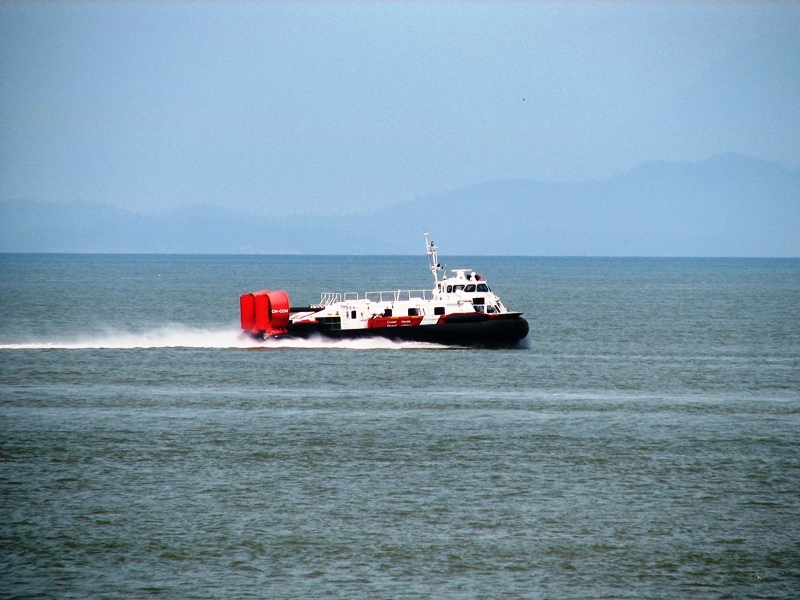 Ferry Corporation provides ferry service from the mainland of B.C. to Vancouver Island and many of the Gulf Islands as well as Haida Gwai (Queen Charlotte Islands). The ferry system is virtually an extension of the Provincial Highways system. The trips can be interesting as Killer Whales, White Sided Dolphins, seals and other sea life are frequently seen from the vessels. Scenery along the way to your destination can be absolutely outstanding. 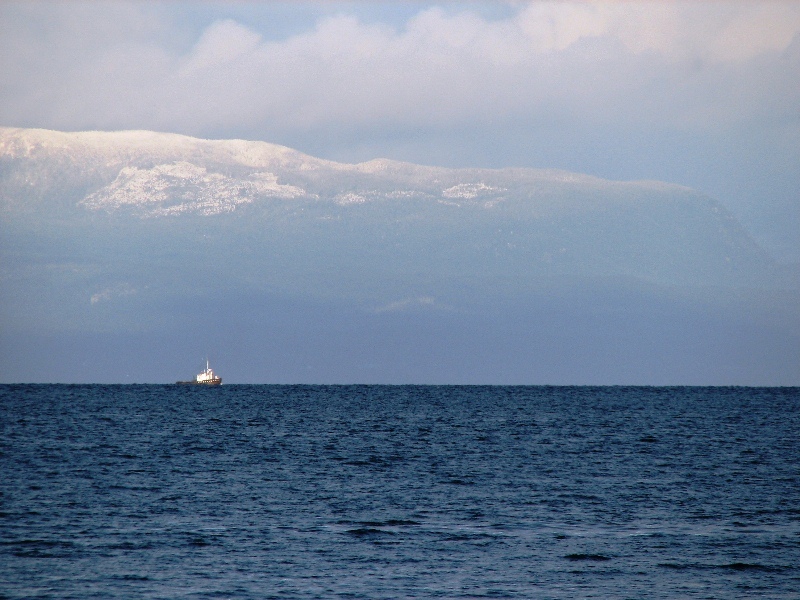 Below is a scene of the ferry that runs between Comox on Vancouver Island and Powell River on the Mainland. 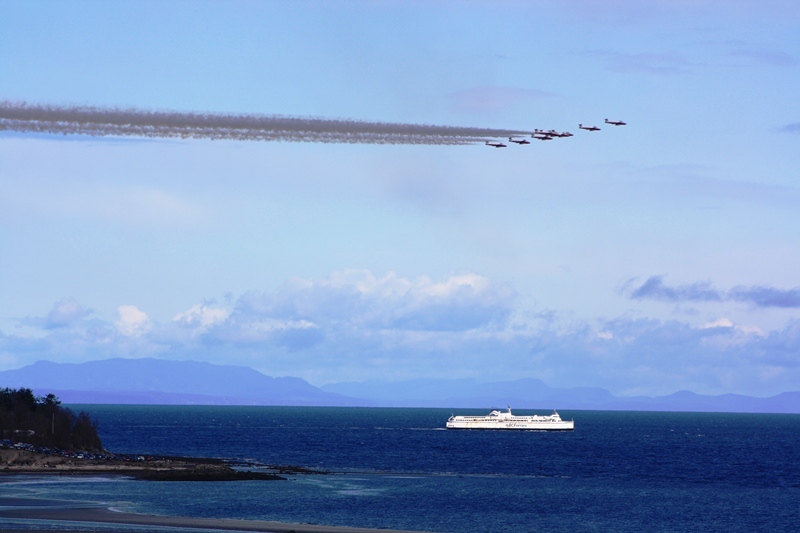 This run during April has the Canadian Snowbird Team from the Canadian Air Force doing a practice run out over the bay. Moving across the Strait of Georgia one would expect to see a myriad of other vessels as this is a major transport route for freighters, barges, pleasure craft and more. Whatever your reason for traveling on a BC Ferry, enjoy the scenery and marvel at the wildlife you may see while heading to your destination. This entry was posted in British Columbia and tagged BC Ferries, BC Ferry, BC Highways, british columbia, Canada, Comox, Ferry travel, Gulf Islands, killer whales, List of newspapers in Canada, port hardy, Powell River, sea life, vacation, vancouver island. Bookmark the permalink.